Big pack for men, not boys. Your ultimate beard fuel now in a bigger 200ml pack, because the bigger the better! 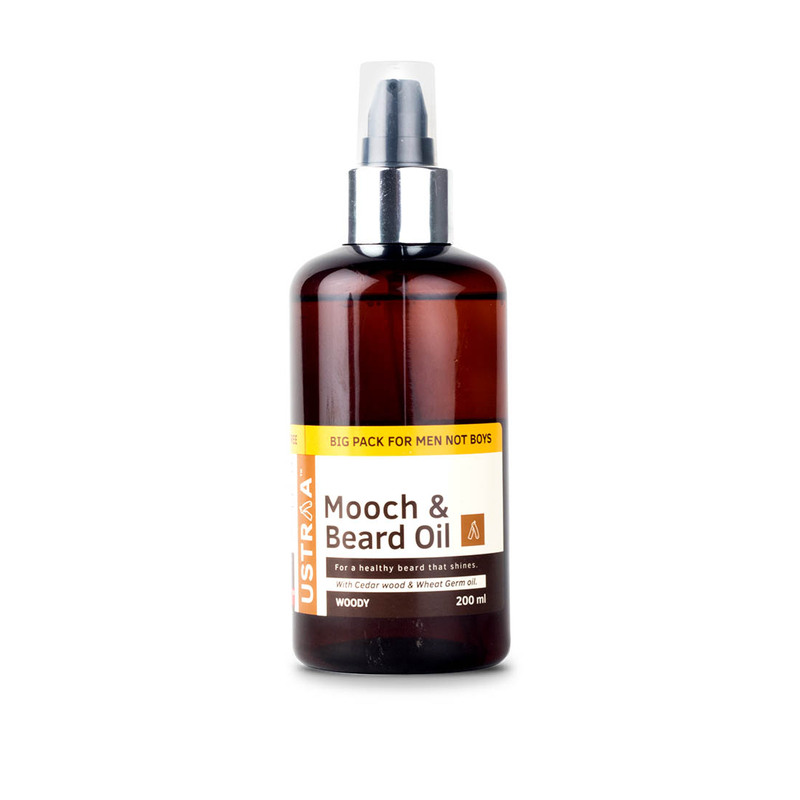 For Instant Shine and Nourished look, the woody mooch and beard oil comes packed with the goodness of Cedarwood Essential Oil, Wheatgerm oil and Vitamin E which is vital for hair nourishment. This oil helps you in maintaining longer beard styles, makes your facial hair more managable. This Oil is completely mineral oil, paraben and sulphate free.